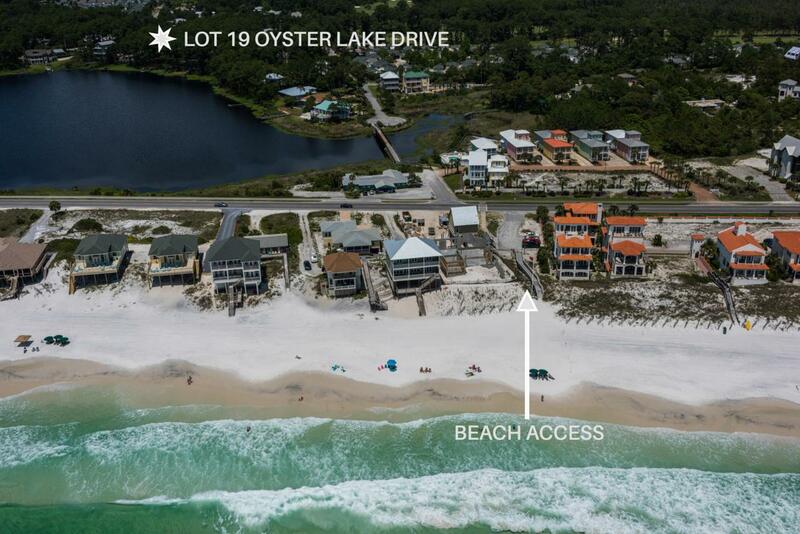 Unique opportunity to live 1 lot off Oyster Lake in Dune Allen Beach. With approx. 1/4 acre of natural landscape within the Coastal Dune Lake Protection Zone. At the right height, a home on this site should boast forever views of both lake & sky. Imagine daily sunsets; sounds of the Gulf. How each day's beach visit is only .4 miles from home! Take the scenic pedestrian bridge to Lake Causeway public beach access. Or head to Dune Allen access, which is ADA accessible with restrooms & lifeguards during peak season, approx. 1/2 mile away. Parking is available at both public accesses. To live within a 1/2 mile of one of the nation's most beautiful beaches. Beside an ecosystem so rare it has only occurred in a handful of locations around the Earth: New Zealand, Madagascar, Australia & Sowal!